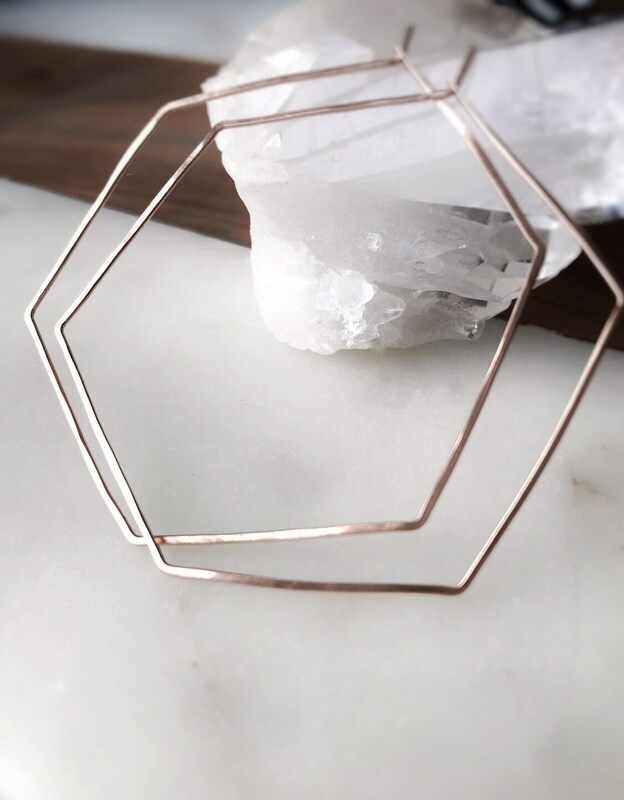 Dainty and Minimalist hexagon earrings in 14k gold filled, rose gold filled or sterling silver. The hexagon earrings as an alternative to the traditional hoop. Handcrafted with real care and spectacular shiny for making different fashion style, for everyday use with an amazing hammered style. They are incredibly lightweight and comfortable earrings. These earrings are handmade and shaped by hand. All items are made to order. Please check our policies page, our time to works 1-2 weeks in business days or for the update production and delivery times please check the top on the announcement page. If you need it sooner, please send us a message on Etsy.